I purchased TurboTax Premier a few weeks ago from Target from $79.99 minus some discount ($15 or $20 dollars, I don't remember). When I filed tonight I owed the feds and I had a refund due from the state. I knew from many years of using TurboTax that filing with the IRS would be free and that the state would cost me $24.99. So, imagine my surprise when I got to the screen that said I first had to pay a $39.99 "Refund processing fee" and it could be taken out of my refund, or I could use a credit card. 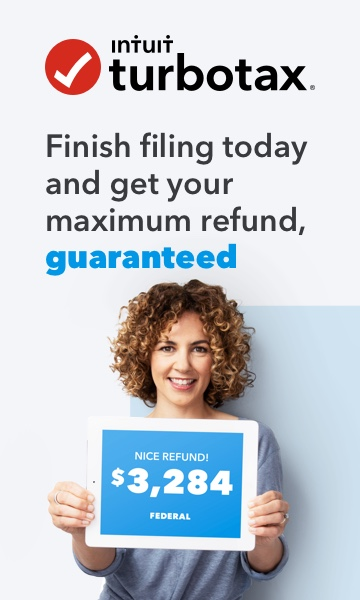 It sounded like this was a fee for the TurboTax PRODUCT, not the $24.99 filing fee. There was a link to click on to enter your verification code if you had already paid, but that pertained to the online version, not the CD version. I put in a call to TurboTax support. They called me back a couple of hours later to tell me that the $39.99 was the state filing fee. I didn't believe them, but at this point I was desperate to file, it being 4/15 and all. So I clicked on the option to pay by credit card. It took me to a screen to log into my TurboTax account. (Incidentally, many times in this process the TurboTax Desktop would just disappear and I would have to flip through my open windows to find it again.) I clicked on all the agreements to sign my life away, expecting to be charged at least $39.99 plus $24.99. But guess what? The confirmation screen came back with only the $24.99 charge! And that is all that has been charged to my credit card. So, all that fear and anxiety for nothing. I can't guarantee this is how it will work for you, but this is how it worked for me. Bottom line, thank you, TurboTax, for not charging me any more than I expected to have to pay. Now, GO FIX YOUR **bleep** SOFTWARE! I opted out of the $39.99 fee. So , paid by debt card, $119.00. I just looked at my bank account and I was charged $131.00.???? Had you already bought the CD?